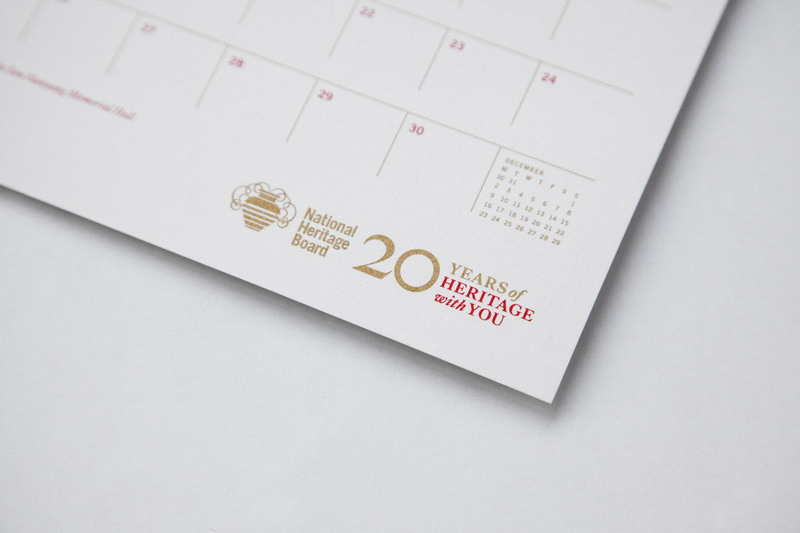 2013 marked 20 years of the National Heritage Board. 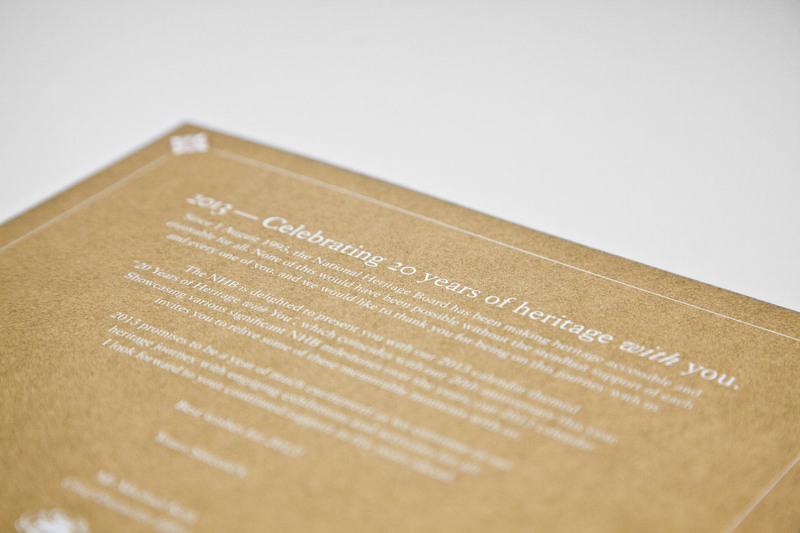 We worked closely with them to design a commemorative accompaniment to their existing logo. 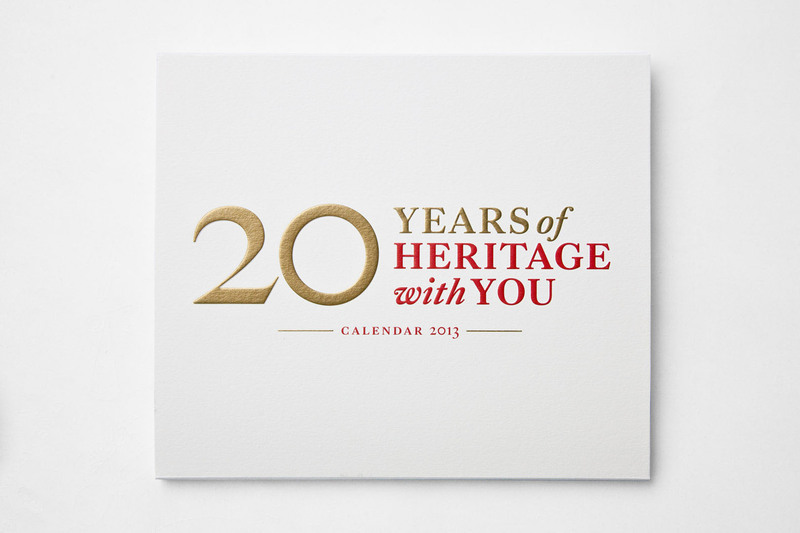 We devised a tagline — Heritage with You, that we felt encompassed the journey that NHB has taken with Singaporeans over the last two decades – culture and history with a focus on the building community through shared experiences. 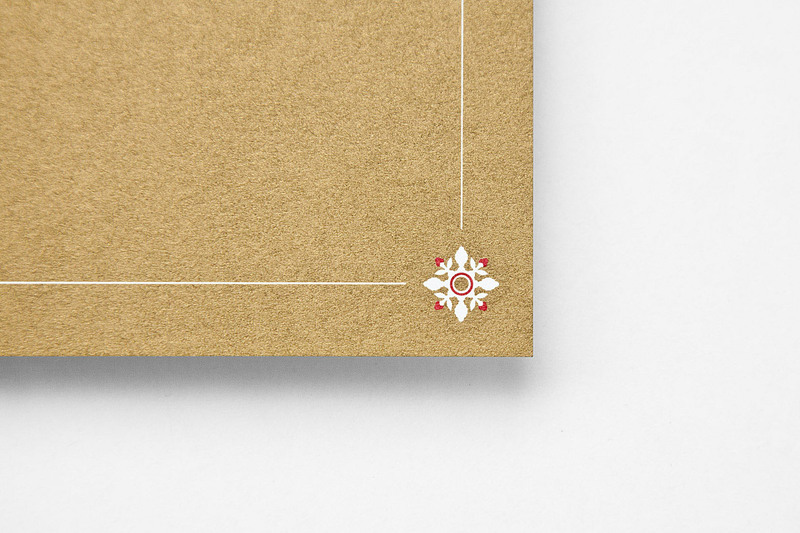 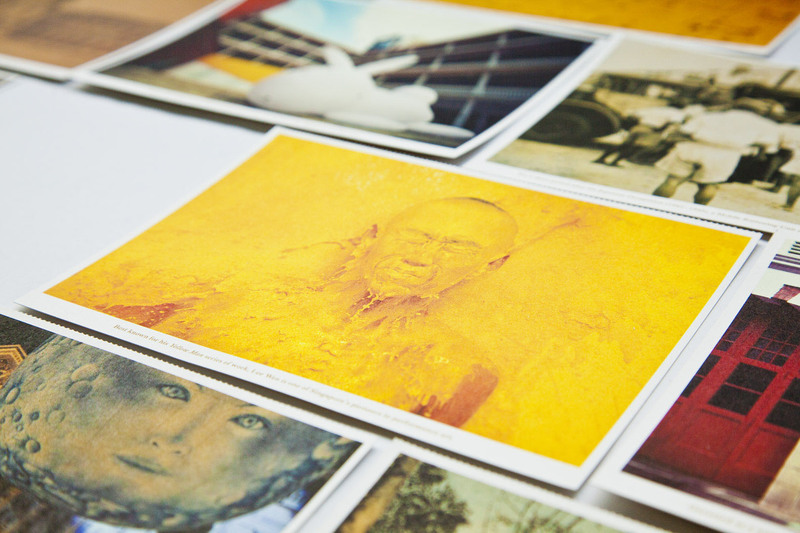 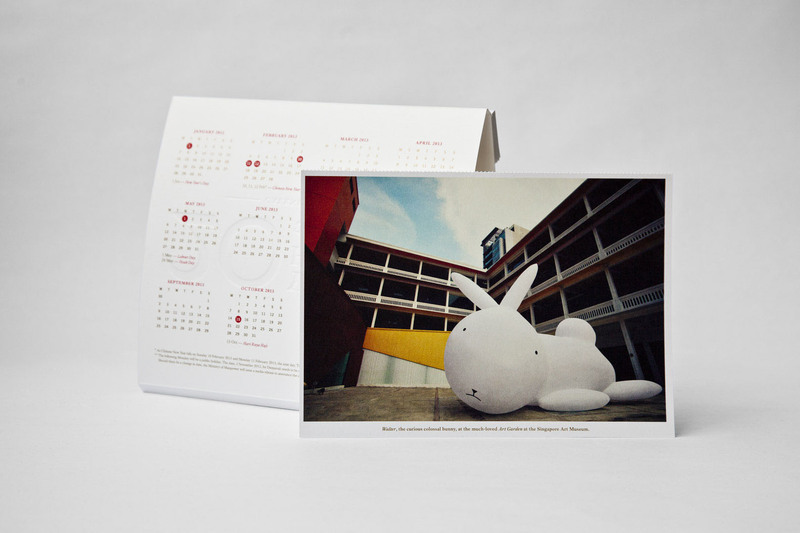 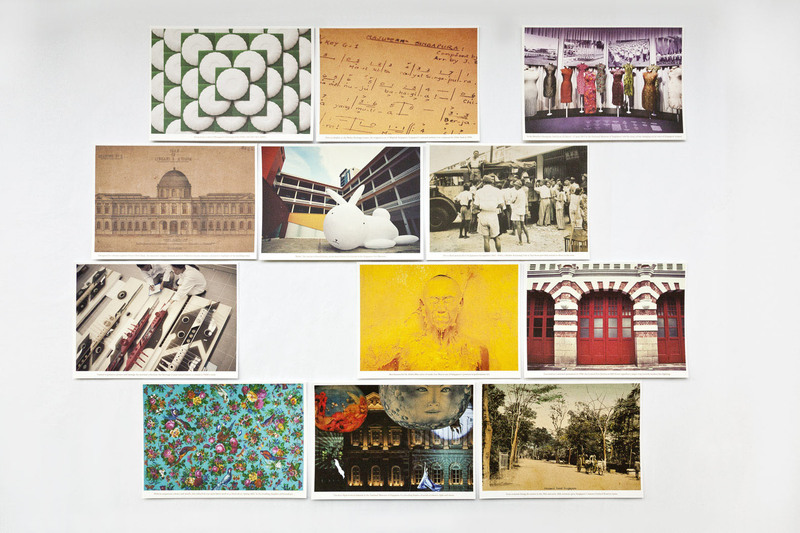 The calendar is designed as a series of 12 large postcards with an image on the back and the month on the front. 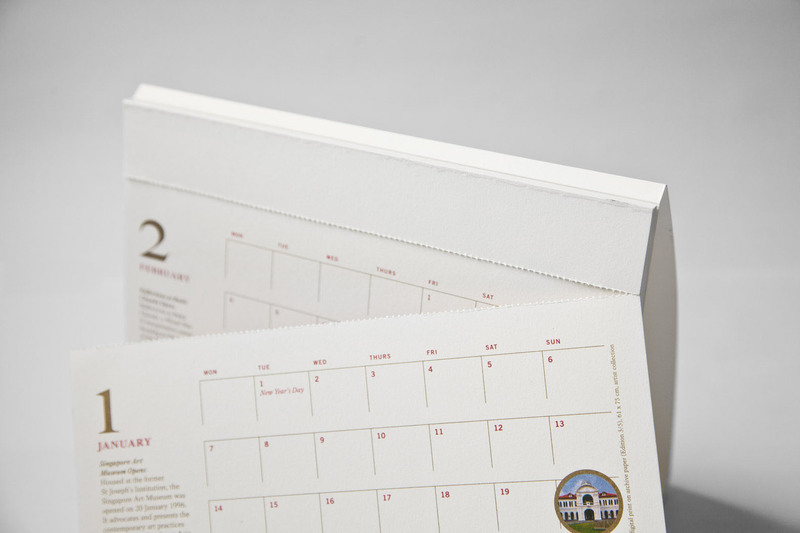 Each month can be torn away (a subtle reference to the Chinese calendars of yesteryears) once the month is over. 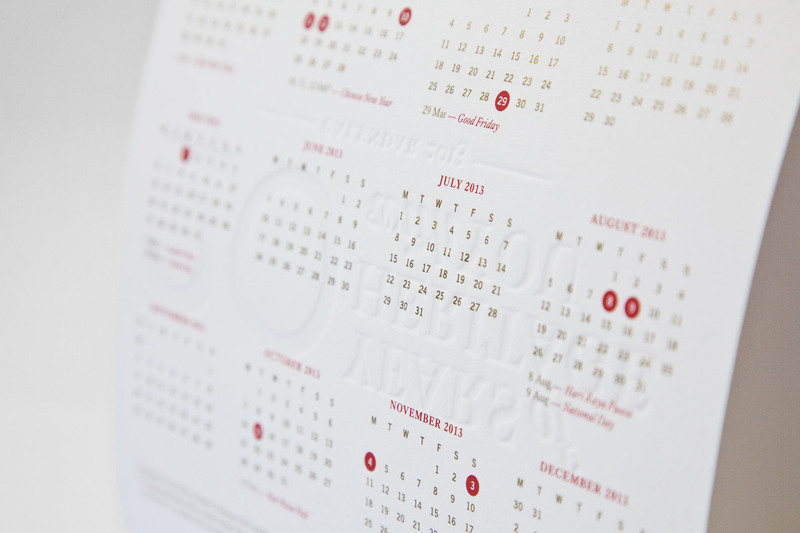 Every month features a different image and facet of NHB. 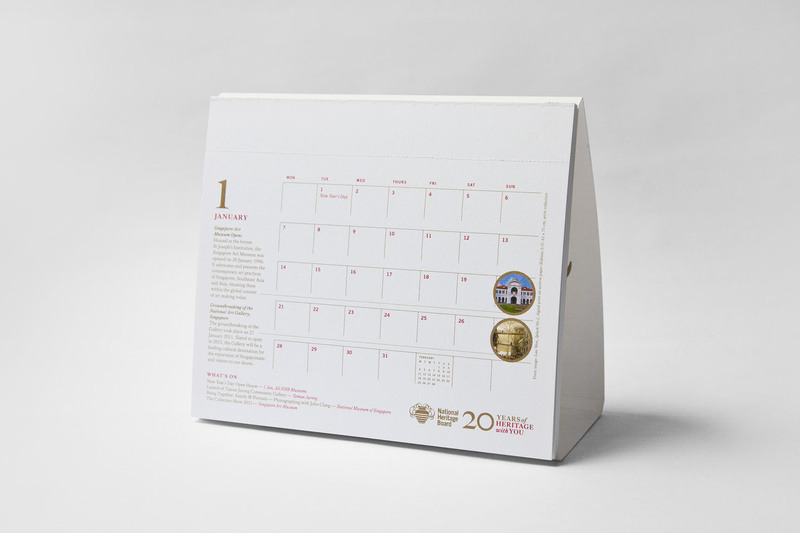 Images were chosen for their aesthetic quality (staff were quizzed as to whether they'd hang the images or not) and also as a tie in with the information on the calendar portion, which detailed key milestones over the last 20 years.